This is the best time to visit Clermont where all the best tourist destinations can be found. There is never a dull day in the city with all the top travel amenities and things to do awaiting tourists, families and groups of people. When you are traveling with your family or with a large group of people there can only be one way to transport them easy than through charter bus Clermont, FL. Why choose charter bus Clermont? There are a lot of reasons why you should choose charter bus Clermont and one of these is convenience. Enjoy so much convenience when you travel since you will only have to sit back, relax and let your professional driver take you to different places in the city. Do you have a special occasion to be at or an event you need to go? Trust that you will arrive relaxed and on time when you choose to ride in a charter bus. You get luxurious and comfortable seats, plenty of leg room, top audio and video amenities and so much more. 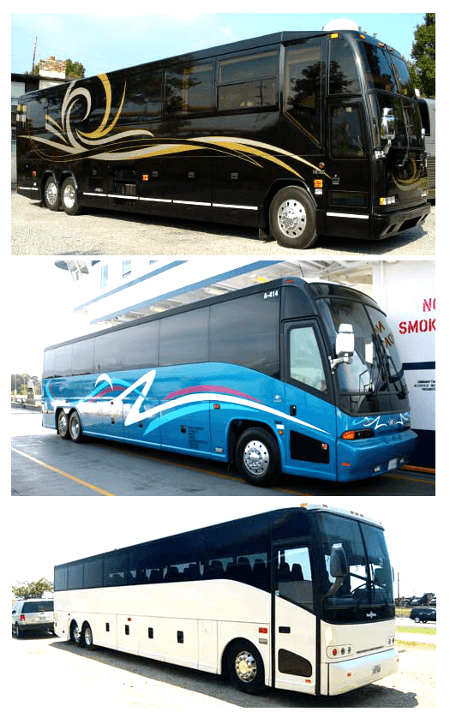 Do you have different charter bus rentals to choose from? There are a number of charter bus rental vehicles in their fleet. The smallest bus but definitely not the least is the minibus which could carry up to 20 people. Their shuttle bus on the other hand is able to carry up to 30 passengers. If you need a larger bus then you would surely love their charter buses which are the roomiest and the biggest with 40 to 50 – passenger capacity. What are the local attractions to visit in Clermont? Lake Louisa State Park – take time to visit the largest and the most beautiful natural parks in the city. You will have a lot of room to play, take hikes, have a picnic, and check out local plants and animals and so on. Showcase of Citrus – what a way to learn about citrus fruits by riding a 4×4. This is a truly family fun adventure destination that you should never miss when you are in Clermont. Clermont Historic Village – this is a must see. You will learn more about the history of Clermont as well as all the great things that happened here in the past centuries. Blueberry Hill Farm – this is a great place to pick delicious berries and have a lot of fun with the family. Take the afternoon off to visit and make sure to bring a lot of sunscreen too. What are the charter bus rental prices? Rental rates in Clermont are now more affordable than ever and these may also vary according to the type of bus that you wish to rent, the number of passengers, the length of time that you will rent the bus for and the places that you will visit. Aside from Clermont, nearby cities of Sanford, Port Orange, Ormond Beach, Melbourne, Kissimmee, Deltona, Lakeland, Leesburg, Merritt Island and Oviedo are served by charter bus.